This was Eamon's first full week of work at his new job. It was important for me to take this week captive to start off with new, good habits so that he has confidence that the home is taken care of while he is back at work. So much of the past nine months has been "Oh, hey, Eamon, can you get that real quick?" while I deprioritize my family. I've been really nervous about the transition, and I have had a bit more anxiety, going to bed exhausted every night with a clean home has been so refreshing. This mama said she never goes to bed with dirty dishes in the sink so (other than last night, yesterday was particularly craptastic) this week I made sure that I didn't either. It made our mornings go much smoother. Having an activity planned for the girls every day was also very helpful. I made sure the girls were also dressed, dressed, every day. If they took their clothes off, that's their prerogative, but at least I tried. I stuck to my daily to-dos, and made sure I had them every day. In 2012, with Eamon and I both working from home, things got very confusing. And out of control. What about you? Do you have a way to help keep your home in running order? 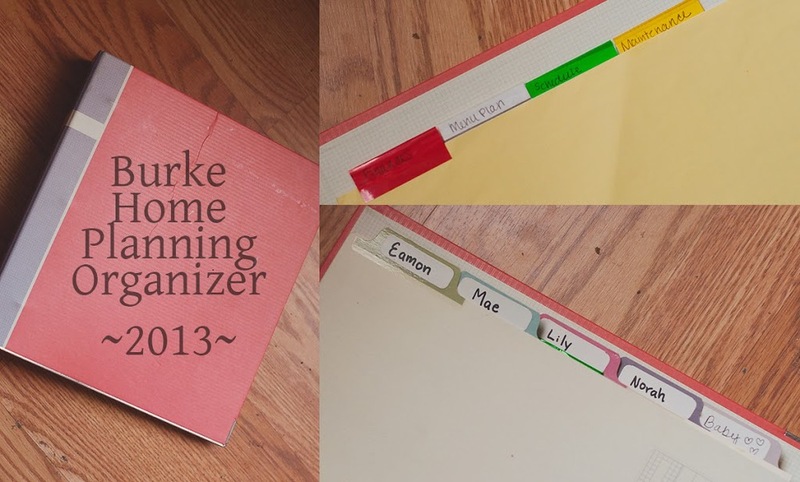 What about an organizer? What is something that's a must in your book?